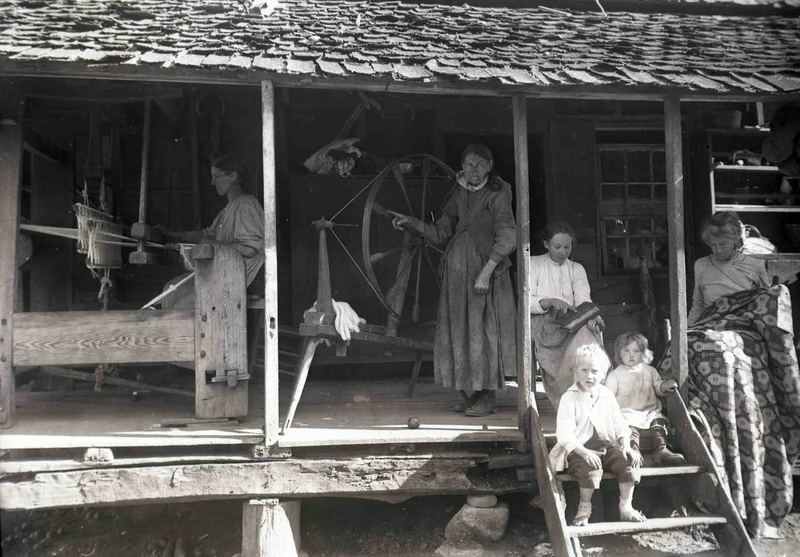 The Warren family showing every stage of making a woven coverlet from the raw wool to the finished object. Mt. Pisgah, North Carolina, ca. 1915.